Evoking the elegance and sophistication of the Art Nouveau period, the Heritage pendant is a modern classic. 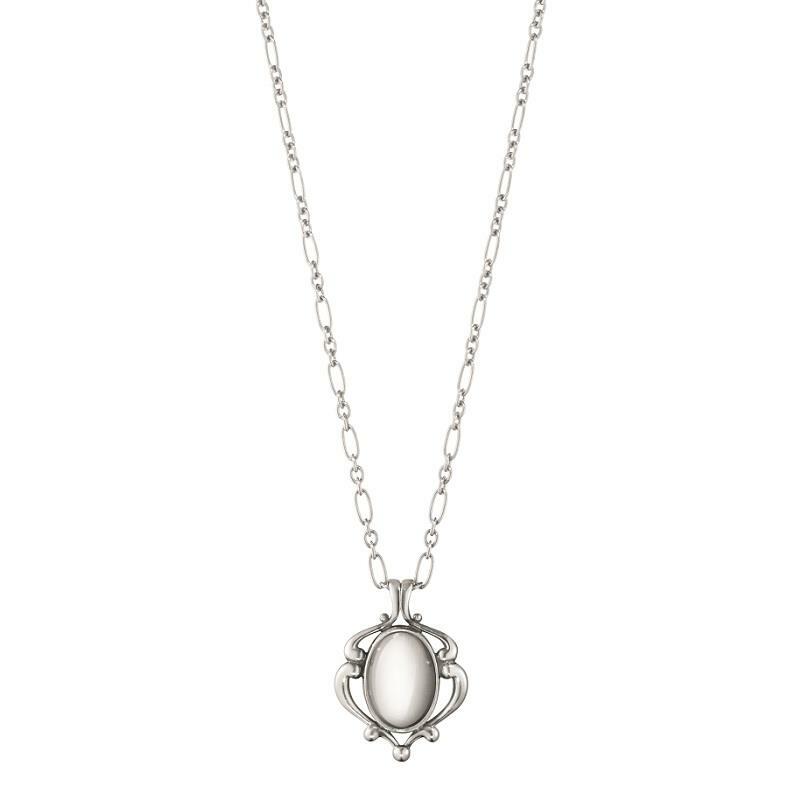 The sterling silver oval ‘stone’ is surrounded by curls and motifs and is suspended on a silver chain. The year date is engraved on the reverse making it a perfect gift to celebrate a particular event or anniversary. Expertly crafted, the pendant is made from oxidised sterling silver and attached to a 45cm long Figaro chain Figaro chain.